*THE FIRST EVER BOSCH & BALLARD THRILLER: THE NEW BLOCKBUSTER FROM THE NUMBER ONE BESTSELLER*At the end of a long, dark night Detectives Renee Ballard and Harry Bosch cross paths for the very first time. 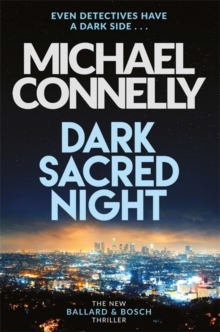 * * * * *Detective Renee Ballard works the graveyard shift and returns to Hollywood Station in the early hours to find a stranger rifling through old files.The intruder is none other than legendary LAPD detective Harry Bosch, hunting for leads in an unsolved case that has got under his skin. Ballard escorts him out but - curious to know what he was searching for - soon becomes obsessed by the murder of Daisy Clayton.